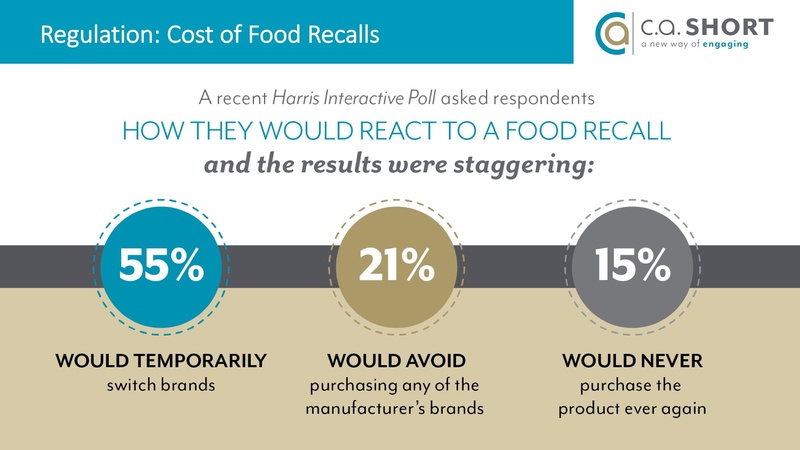 The Consumer Packaged Goods (CPG) sector is in trouble, and so are the many industries who help produce, store, and distribute the products we depend on. 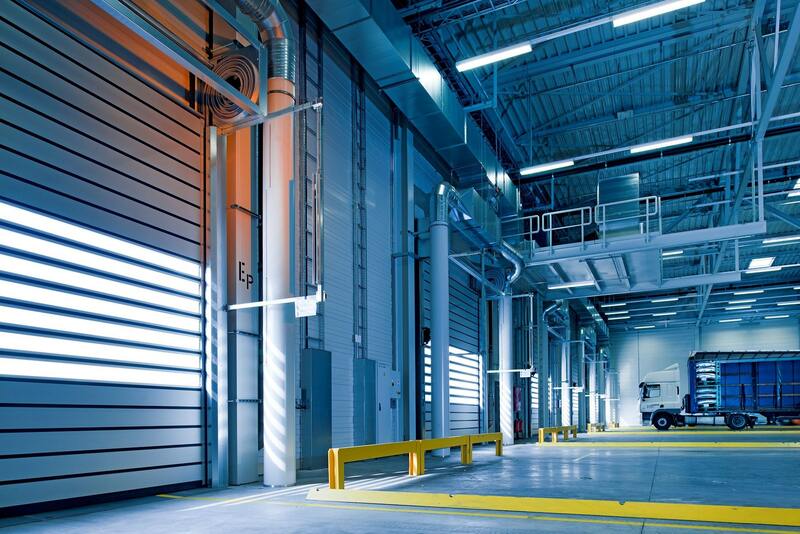 This is especially true for businesses that operate in the manufacturing, warehousing, and transportation industry. 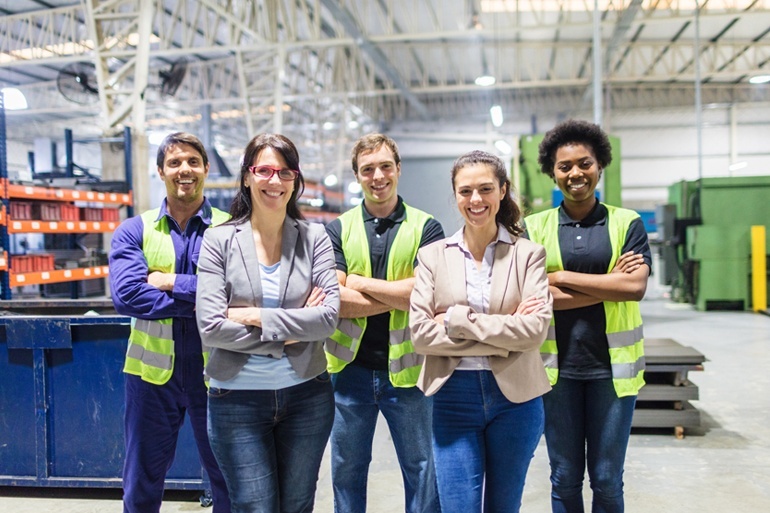 Despite offering high-paying jobs with competitive benefits, manufacturing firms are struggling to appeal to millennials. In fact, less than 20% even consider manufacturing a top career choice. 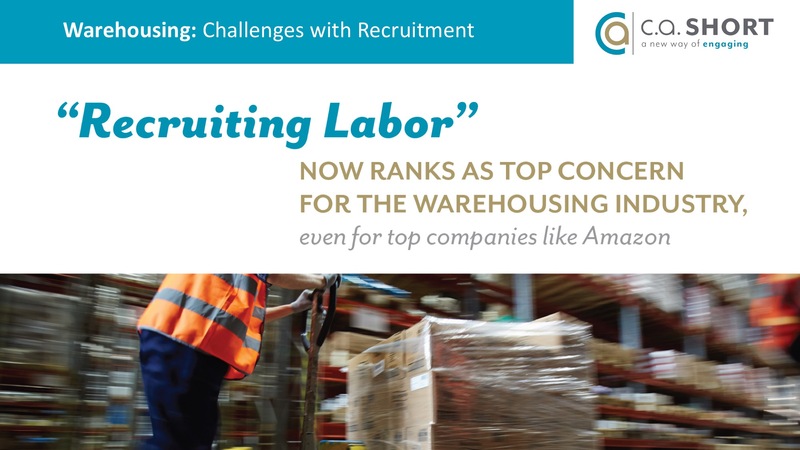 It’s even worse in the warehousing industry. 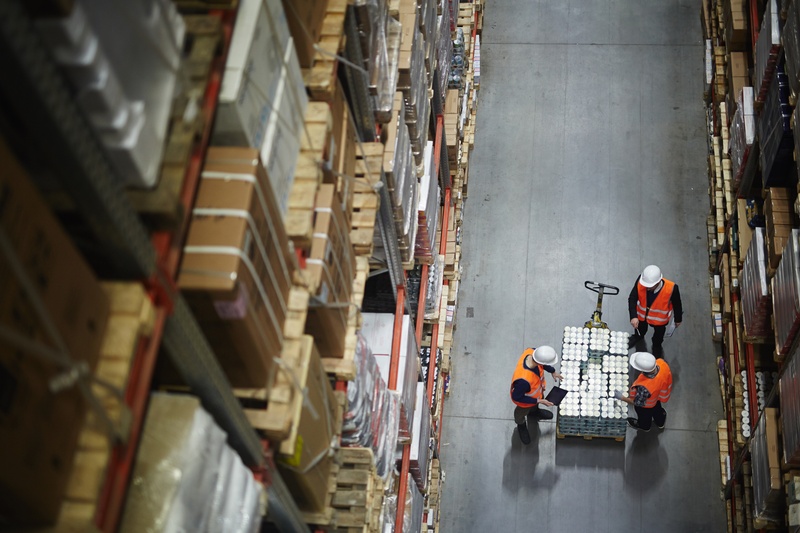 Not only are the nation’s largest businesses struggling to hire warehouse employees of any age, but the amount of serious, on-the-job injuries has skyrocketed. The trucking industry is experiencing record-high levels of turnover and a growing national shortage of drivers. Something must be done, and we’re here to help you do it. With nearly a century of experience in the employee engagement, recognition, and safety industry, C.A. 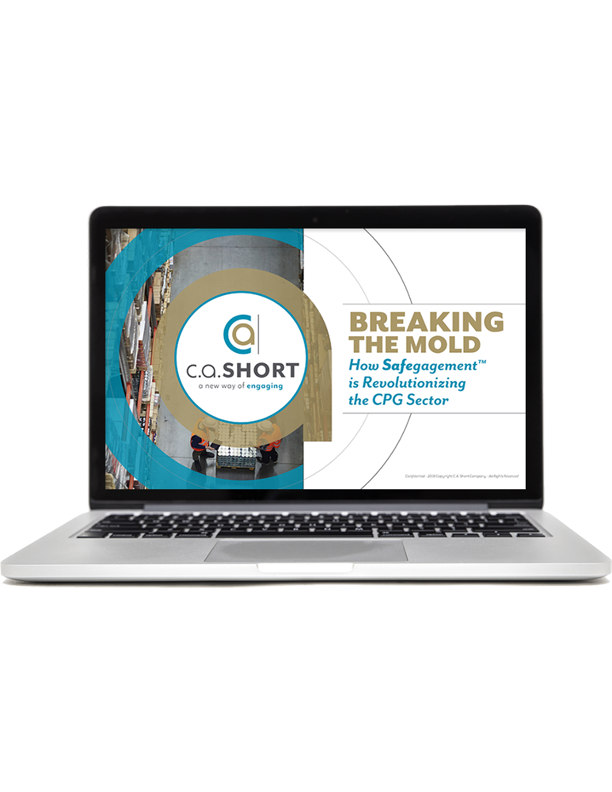 Short Company has worked with hundreds of businesses in the CPG sector. Over that time, we’ve developed a strategy that has proven to improve company cultures, reduce turnover, improve recruitment, and boost profits. 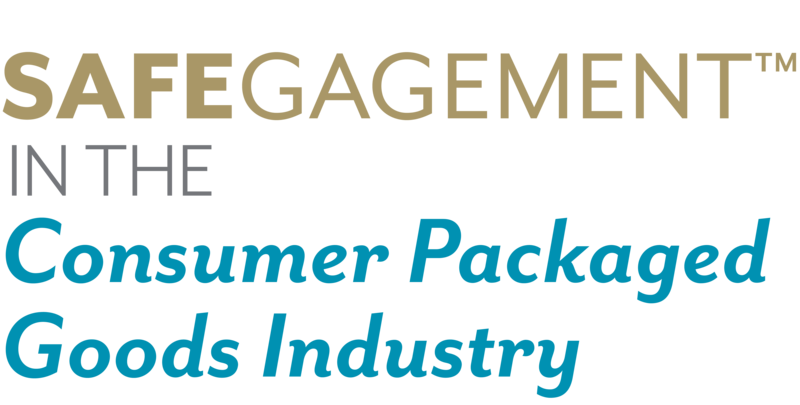 If you’d like to learn more about how Safegagement is revolutionizing the CPG sector, please download any of the free resources on our page. If you require immediate assistance, or if you have a question you think we can help answer, give us a call. 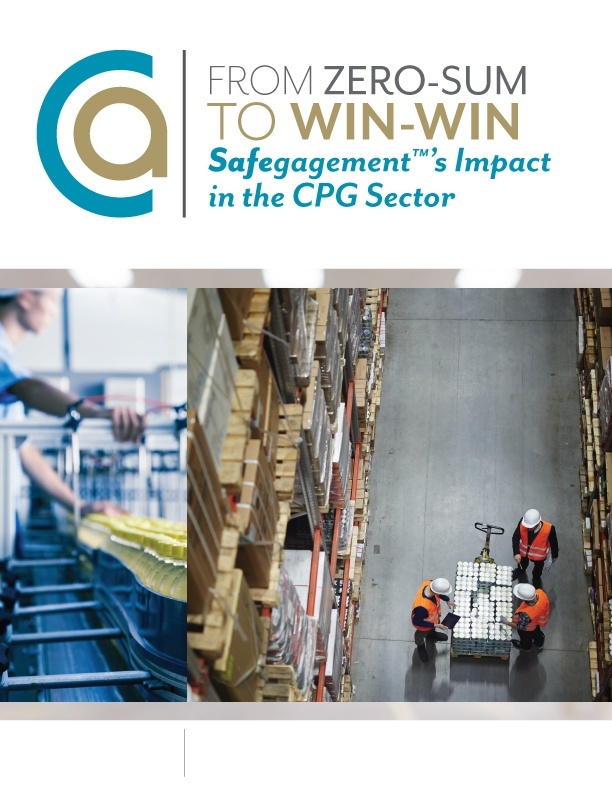 Offering Consumer Packaged Goods (CPGs) involves working across many industries, and each has their own set of unique challenges. 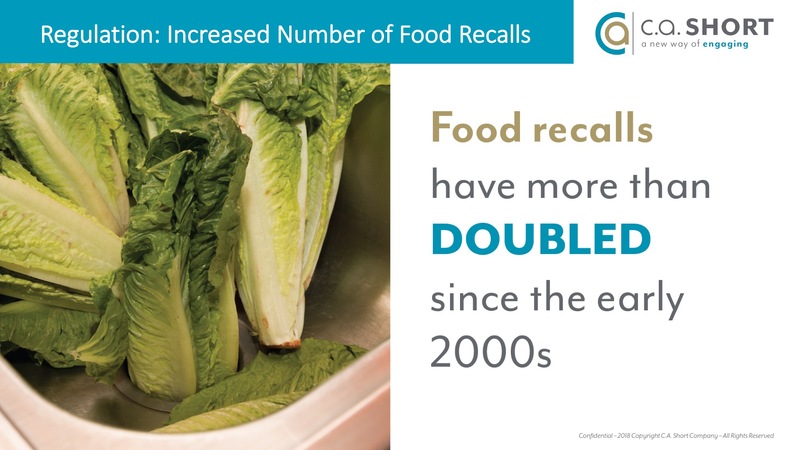 The Consumer Packaged Good (CPG) industry is responsible for many of the products we use on a daily basis – from the food we prepare for dinner to the detergent we use to clean our clothes. It’s easy to take the products we use for granted. If we need a new toothbrush, we just visit the closest store. 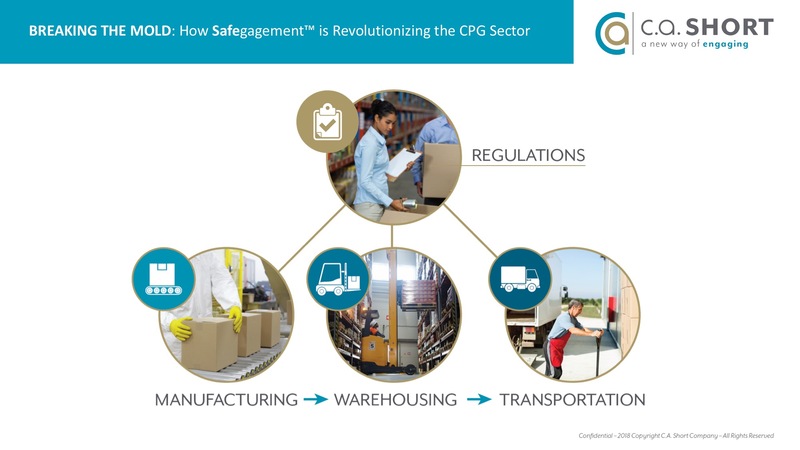 Over the past few weeks, we’ve written a great deal about Safegagement™ and its role in the Consumer Packaged Goods (CPG) sector. A: C.A. Short Company is an industry leader in the field of employee engagement, recognition, and safety. We have more than 80 years experience helping companies in the Consumer Packaged Goods sector honor, inspire, reward, and protect their workers. Q: HOW CAN C.A. SHORT COMPANY DRIVE SAFEGAGEMENT AT MY COMPANY? 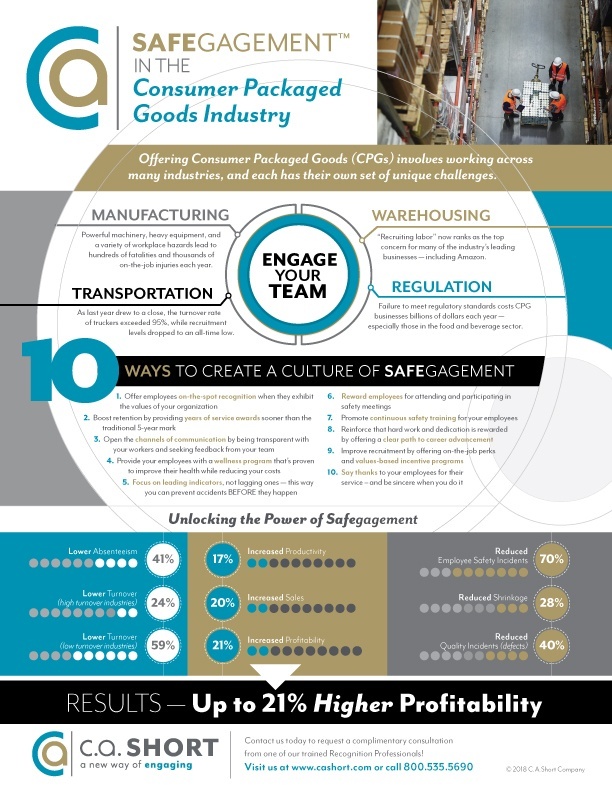 A: Through the use of our People Are Everything Total Engagement Platform, businesses within the CPG sector can monitor and measure employee engagement and improve workplace safety by using formal, informal, and day-to-day recognition. 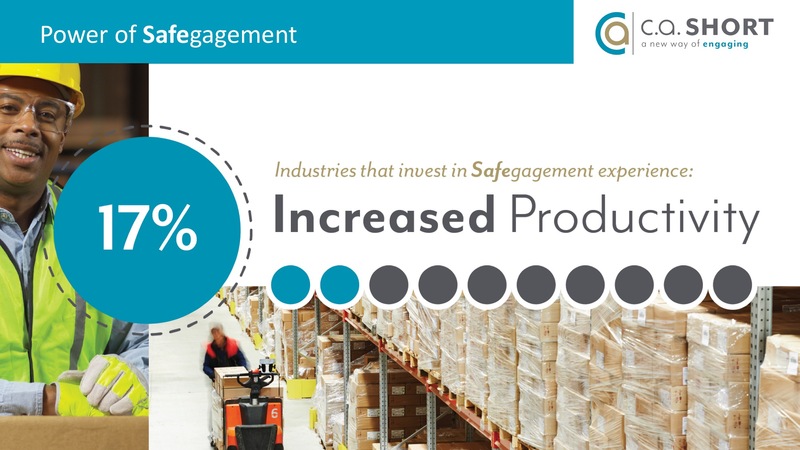 Q: WHY DOES EMPLOYEE ENGAGEMENT AND SAFETY MATTER IN THE CONSUMER PACKAGED GOODS INDUSTRY? 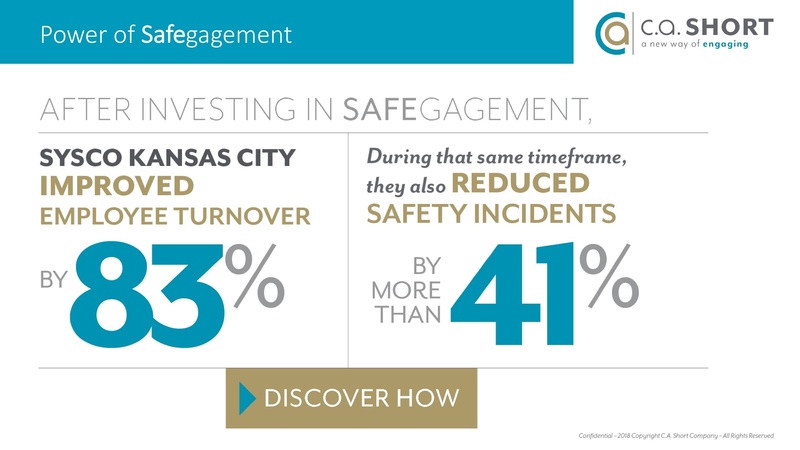 A: When companies focus on improving employee engagement and safety simultaneously, they can yield tremendous results. 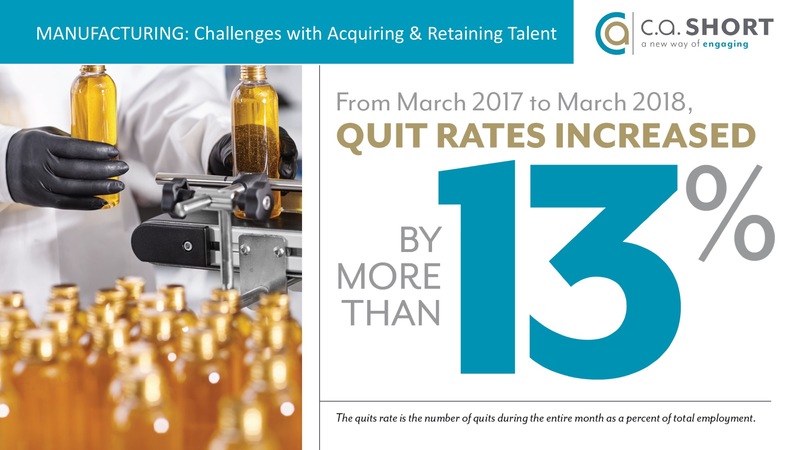 This is especially true in the CPG sector, which faces numerous challenges: record-high turnover, increased safety incidents, and quality control issues.